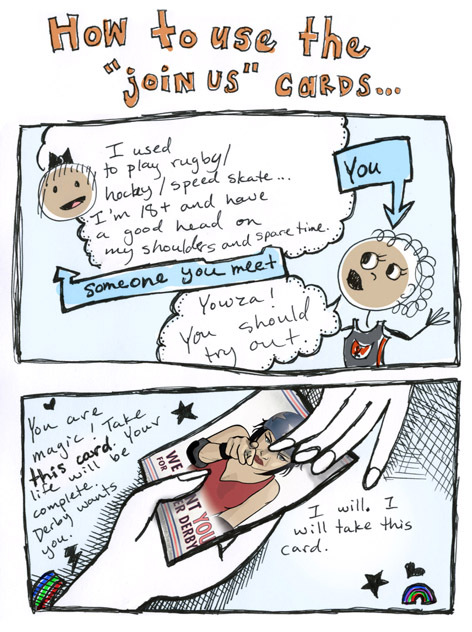 An instructional guide for roller girls on how to use new recruitment materials. 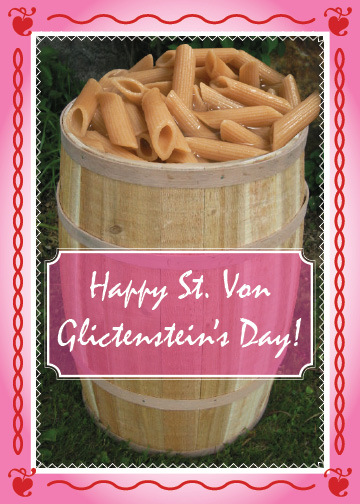 A joke greeting card for the fictional national romantic holiday of Denmark, where you gift your love a barrel of pasta. 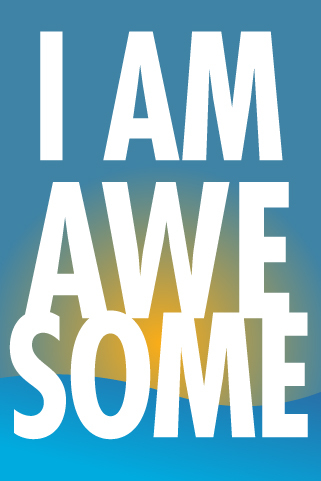 The “I am awesome” phone wallpaper. Also available in dual- and single-screen layouts. Lemons=lemonade. 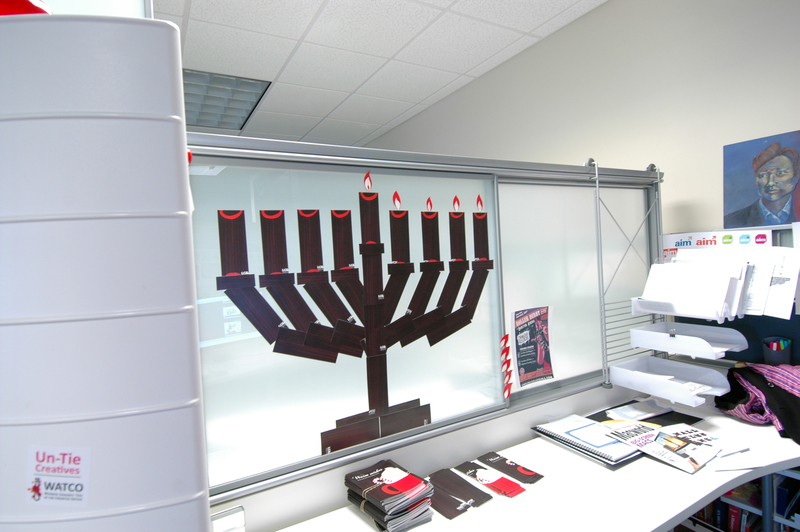 When our company’s holiday cards came on the wrong paper stock, I used the discards to create a large holiday decoration in my cube. All is not lost. And yes, that is a pastel-drawing of Conan O’Brien, done in college before all this Coco nonsense started.